The University of Washington, Seattle campus has made steady gains in supporting the success of its underrepresented minority students, says university officials, noting that the institution has been selected as one of Diverse’s Top 100 institutions for bachelor’s, master’s and doctoral degrees conferred by minority students. “The UW takes pride in supporting the success of underrepresented minority students during their time on campus, whether for undergraduate or graduate studies,” says Jackson Holtz, a spokesperson for the university. The success follows a 50-year legacy of work that began with the establishment of the Office of Minority Affairs & Diversity (OMA&D) and spread to the core values of the institution, according to university officials. 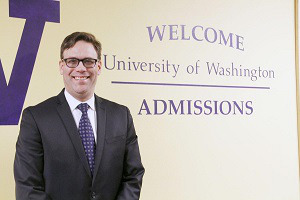 Paul Seegert, the director of admissions at UW, says that he is proud of the driven and diverse set of students that attend the university. OMA&D’s mission is to “create pathways for diverse populations to access postsecondary opportunities, nurture and support their academic success, and cultivate a campus climate that enriches the educational experience for all,” according to university officials. It’s a mission OMA&D faculty are proud to say they have achieved through their many programs that serve over 26,000 undergraduates and prospective students. These support services include new student orientation, academic advising, instructional support, mentoring, financial aid and scholarship opportunities. OMA&D maintains a dedicated and diverse staff to reflect the student body they serve, Holtz says. Some of the divisions the department has are those that “serve specific undergraduate populations including migrant farmworkers, foster care and undocumented populations, in addition to serving underrepresented minority populations broadly,” he adds. One of the programs within UW’s OMA&D — and its primary advising unit — is the Educational Opportunity Program (EOP), which strives to promote graduation and academic success for under-represented ethnic minorities, economically disadvantaged and first generation college students at the institution, according to the program’s website. “In addition to helping students with course selection and preparation for academic majors, we work with them on other issues that could present challenges in thriving academically, such as financial aid, housing, health & wellness, social identity development, etc.,” says Robin Neal, director of EOP. “Our signature model is Appreciative Advising, one-on-one. We also deliver workshops and seminars on transitioning to college and other topics that help students build supportive networks and navigate their way through UW,” Neal adds. The other programs that make up OMA&D’s Academic Counseling Services (ACS) are the College Assistance Migrant Program and TRIO Student Support Services and the Champions Program. While all ACS programs are similar in the services they provide to students, Neal says, EOP is state funded whereas CAMP and TRIO are federally funded. Another key program, something Holtz says is “considered the gem of OMA&D” is the Instructional Center (IC). IC offers instructional support, mentoring and tutoring to students and features professional instructors with graduate and doctoral degrees in a range of fields as well as a staff of student tutors. Along with the divisions held under OMA&D, UW has 900 registered student organizations for students to join, 165 of which are culturally affiliated organizations, such as the Black Student Union, Filipino, American Student Association, Movimiento Estudiantil Chicana/o de Aztlan (M.E.C.h.A.) and First Nations club. The cultural organizations are extremely useful for UW students finding a hard time adjusting to American culture or who just want to be around an environment that’s familiar to them. In the 2016-17 academic year, Seegert says UW’s student body increased in its diversity over the last 20 years. The institution held 20.5 percent Asian students, 3.3 percent African-American students, 7.6 percent Hispanic students, 44.5 percent White students, 0.5 percent American Indian students, 6.1 percent students of two or more races and 14 percent international students. In regards to UW’s faculty, 0.3 percent are American Indian, 15 percent are Asian, 0.17 percent are African-American, 4.2 percent are Hispanic, 0.06 percent are Pacific Islander, 71.3 percent are White and 1.5 percent are multiple races. In the future academic years, UW hopes to hire more faculty. Holtz says UW is “committed to recruiting and retaining a diverse faculty and staff” and through the Faculty & Staff Affinity Groups, they can “provide opportunities for these populations to build community and foster connections with each other through gatherings and programming” to better represent UW’s students.